HTC is streamlining its approach to smartphones this year, making the new HTC One its sole flagship handset. 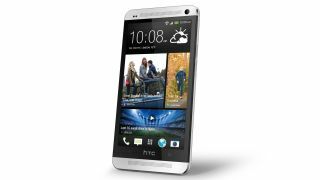 Phil Roberson, HTC's executive director for U.K. and Ireland, revealed that the HTC One will be true to its name, with the Taiwanese firm betting big on the sleek iPhone-like Android handset. "We just said, 'Let's just create one flagship device this year,'" Roberson told Omio. "This is The One." Last year HTC took a very different approach, releasing a wide range of HTC One devices including the One X, One X+, One V, and One S.
Consolidating its flagship brand to a single device could pay off for HTC. The multiple model approach can quickly confuse users as to which features belong with which handset. There's no confusion about the new HTC One though, with a 4.7-inch full HD display, 1.7GHz quad-core Snapdragon processor, and 2GB of DDR2 RAM. It also features Beats Audio-powered BoomSound with a front-facing speaker and amplifier, along with BlinkFeed for a constant stream of news and photos from your preferred outlets and social networks. The camera, while only 4MP, utilizes a feature HTC's dubbed UltraPixels - the idea is that larger pixels make for better images, especially in low light conditions, than more pixels. The camera also gets a boost with HTC Zoe, which animates photos into mini-movies. Of course, just because the HTC One will be the only flagship HTC device on the market doesn't mean that the door is closed to other HTC handsets sans the One brand. After the HTC One took the MWC best in show award, it's hard to argue with the results of HTC's new flagship strategy.